Businesses across the UK have been wondering when the Windows 10 free upgrade will become available following months of speculation. Well, Microsoft has finally confirmed that the new operating system will be released at the end of the month. 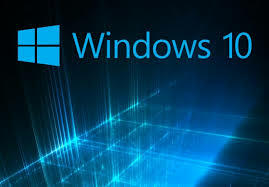 Companies currently running the Windows 7 or Windows 8.1 operating systems have a year to download the free Windows 10, which will be available from June 29. Windows 10 was first announced early this year and is currently in the final stages of beta testing. Along with the Windows 10 announcement, Microsoft also confirmed that it would be the last-ever version of the Windows operating system, which came as a shock to many. Unlike with previous versions, Windows 10 will be used across all Microsoft devices, there will not be a separate Windows Phone 10 operating system. However, Microsoft revealed at their Build developer conference that the release would be staggered across other devices, following the PC launch. So what can we expect from Windows 10 for PC? There’s a new feature called Continuum, which means people using Windows 10 with a mouse and keyboard will see the new system in a classic desktop mode. Microsoft has also brought back the Start Menu, hurrah!, and the tiles adopted in Windows 8 will still feature when users open the Start Menu. Say goodbye to Internet Explorer, Windows 10 will come with a new browser called Microsoft Edge, which will allow users to annotate webpages or save them to read later… pretty cool. Also, we’re sure you’ve all seen the adverts by now, Microsoft’s personal assistant tool Cortana will finally be available for PC. We think Microsoft’s Windows 10 release sounds very promising. What do you think? Will you upgrade or are you sticking with an older version? Let us know your thoughts. 360ict provides managed IT services and support for SMEs in central London and the south-east. For more advice on gaining competitive advantage as a mid-sized company, give us a call on 0208 663 4000 or head to our website. Out of virtual life, if we think about a beautiful living then double glazing uk for cottage is a matter that should be considered. Did I say something wrong? After I installed the new version of Windows, an error appeared on my computer. I spent a lot of time looking for a solution of this problem, because I did not know why it could arise. And after a long search, I came to the conclusion, that I needed the file api-ms-win-crt-runtime-l1-1-0.dll download https://fix4dll.com/apimswincrtruntimel110_dll on my computer. That's why the sistem began to give an error.